Welcome to Day 8, if you are just arriving for the first time all the details and the linkup can be found HERE! Thrilled to have Uniko Studio is both our guest and sponsor for today! 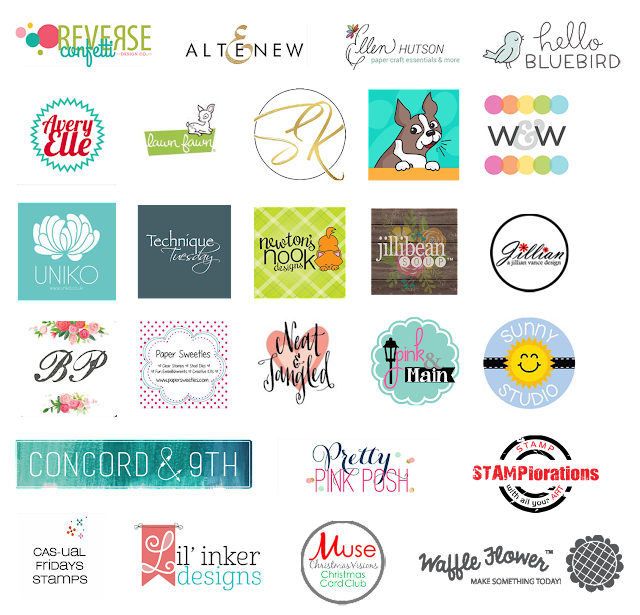 They are offering a free in stock stamp set as a giveaway to one lucky winner! A ton of inspiration today! Too many favorites to list!! I think today will lead to many tags in my stash. The Uniko gals have shared a plethora of inspiration...as have you, lovely Tracey! Your tags see my CAS-loving heart smiling! 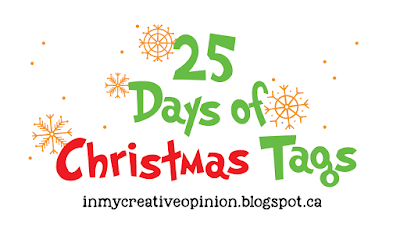 Such fun and festive ideas. I love that Santa! Delightful tags! I love the pinecones and greenery! 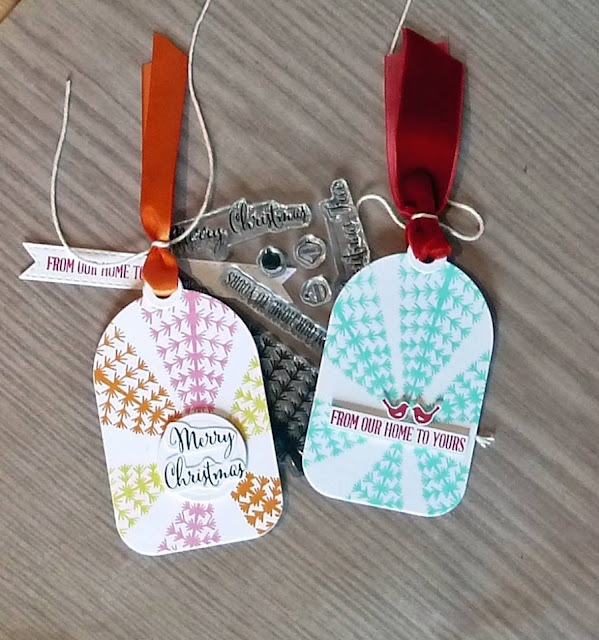 Tracey...what a beautiful pair of holiday tags, so elegant! These are both so very sweet. Clean and crisp, just like I love it. Bev inspired me with her color combo and I love Traceys's single layer CAS tags! Such cute tags today! Lots to case! bells at the top of the first. Beautiful tags today.....I especially love Jane's tag with that gorgeous night sky background. I have not heard of this company before and am happy to have a new source for paper crafting goodies! This is lovely inspiration and I can't wait to see more - beautiful tags so far! Beautiful tags! 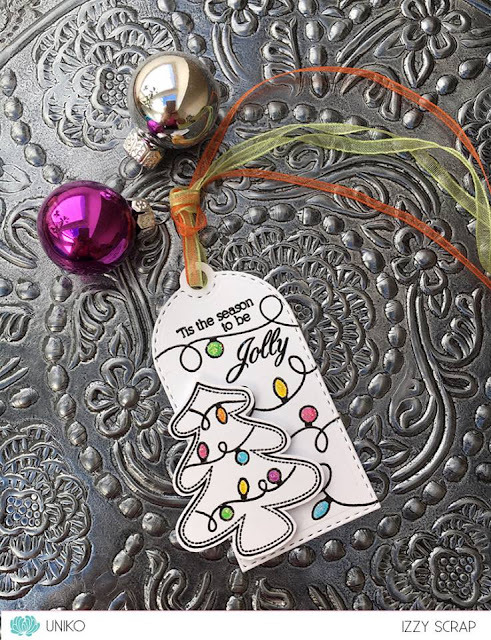 Love the sweet bells on your Merry Christmas tag, Tracey! these tags are so very nice! Such beautiful tags! My fave is definitely your dainty pinecone tag!!! 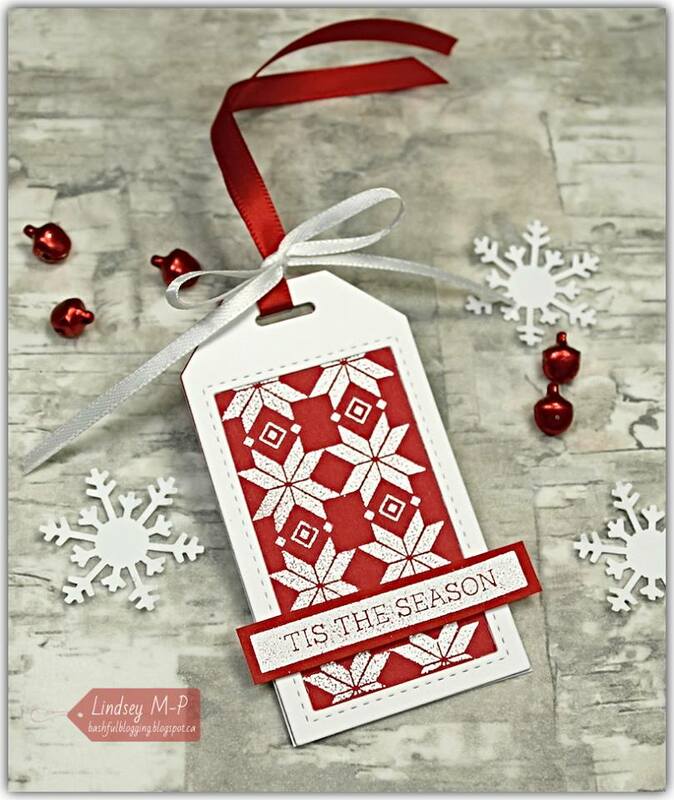 Love that graphic pine cone and pine bough you used Tracey, but there is a ton of inspiration here. 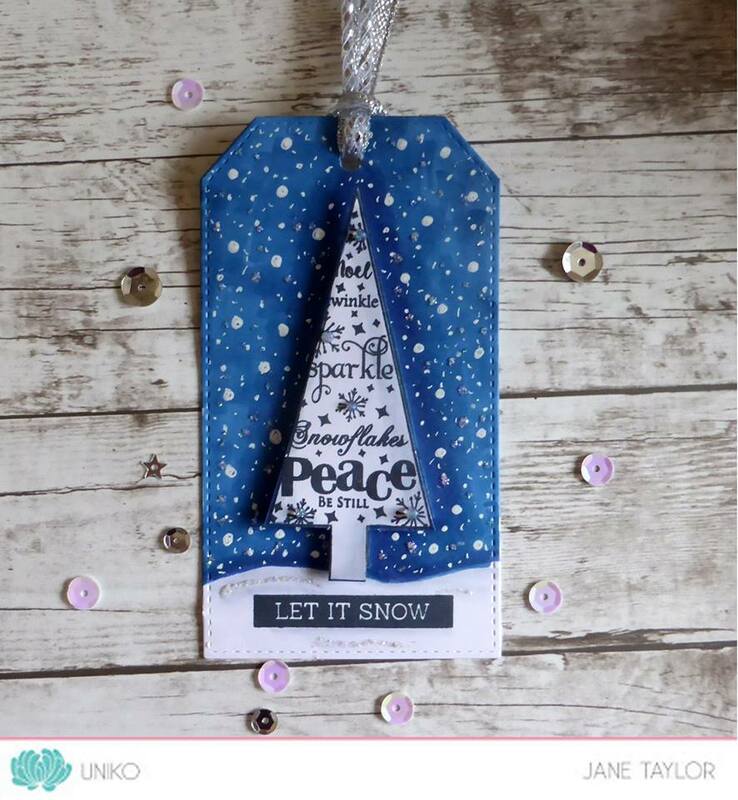 Blue is my favorite colors, and the blue and white tree tag really speaks to me. 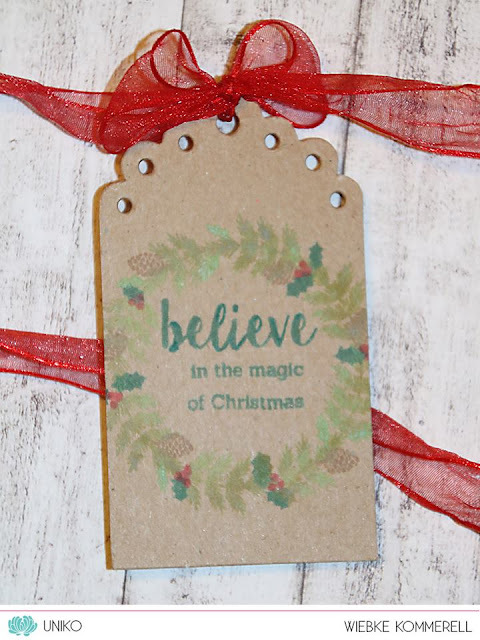 I just love the fonts on these tags! Beautiful tags. Today the ones that speak to me are your Tracey. I love everything about them. Thanks everyone! I love the simplicity of these! They are perfect! Love the pretty CAS designs on both of these! These are lovely tags. My favorite is the o' Christmas tree pinecone tag. That is an elegant font used for the O' Christmas Tree. I was looking forward to today's video. I'm LOVING the pine cones and holly berries. That says Christmas a winter to me. Very inspiring for sure. Your tags are so beautiful! Love your clean designs and the wonderful pine cone images! The little bells on the first one are adorable. Lovely tags again today! I like how Beverley added the vellum over her tag. That's something I think I'll try. 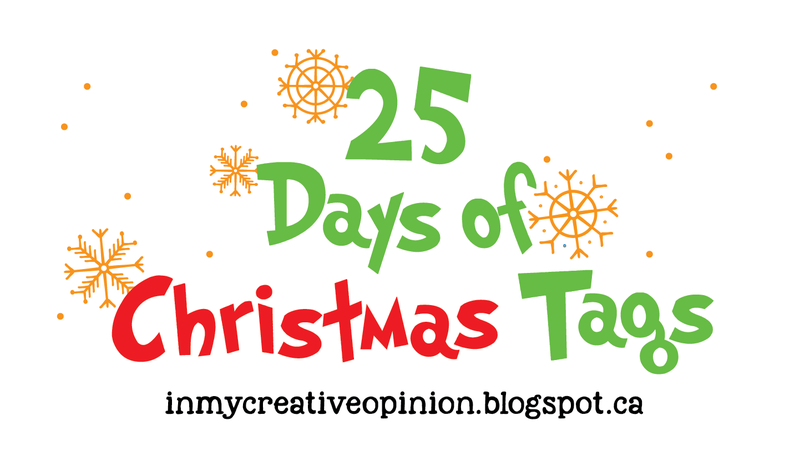 I love your Merry Christmas tag with the tiny bells! All are so delightful inspirations, Love yours! What gorgeous tags again today (I know, I am behind a day. LOL) Tracey, your tags are very elegant. I am so inspired again today. Thanks to Uniko for their sponsorship. You did such a beautiful job! Just awesome tags. Love the details. Thanks for the inspiration!! These are beautiful! Love the sweater ones! Love wonderful tags. Thank you for the inspiration! Happy Holidays! Really love some of these. Put them in my CASE file. 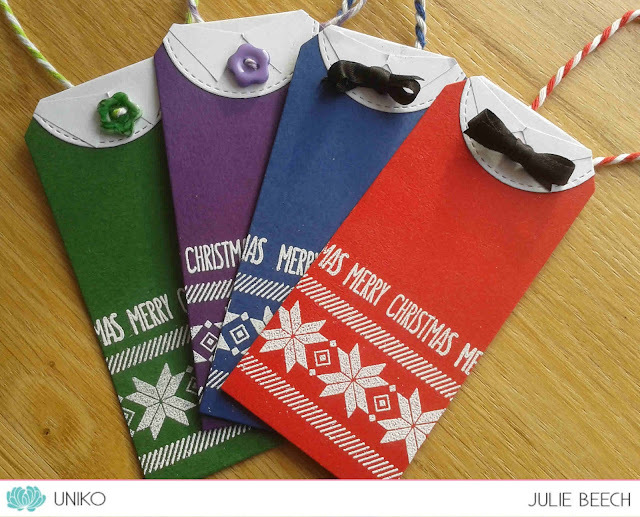 The Christmas tree tag by Jane is awesome! 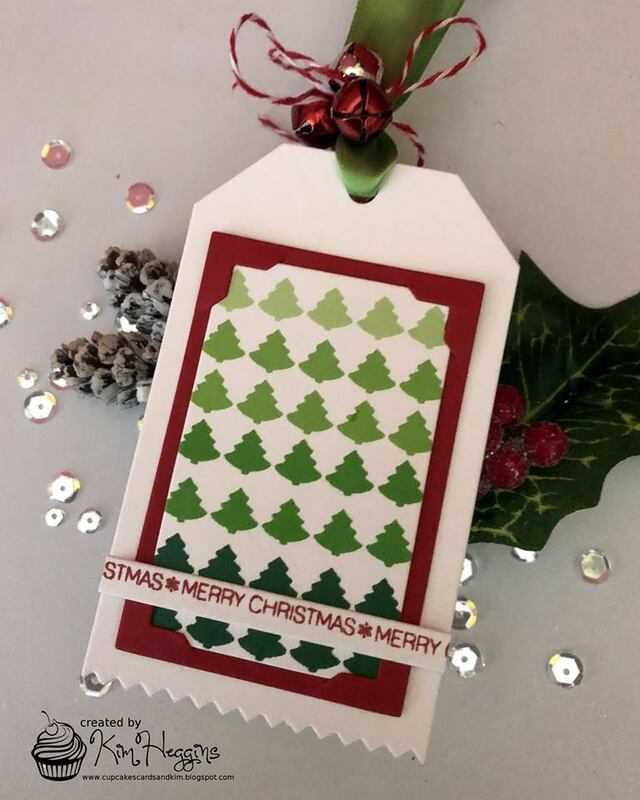 Love the stamped tree! All great tags, but Tracy I love the clean and simple design of yours. Oh those tags - you had me want to run into my craft room and start working right now! All great tags! 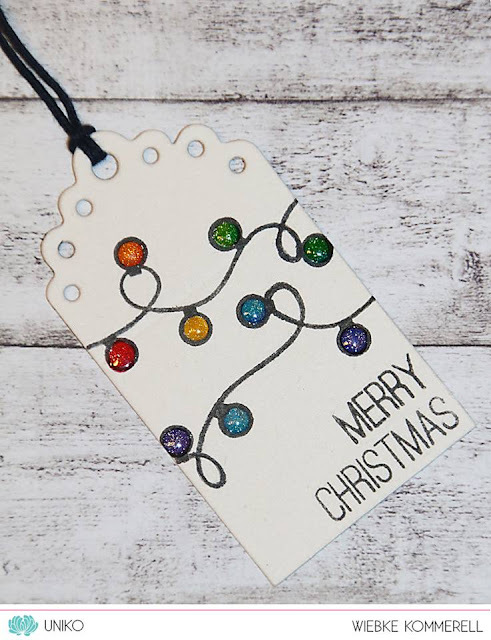 I am partial to the pinecone tags - I love the addition of the little bells at the top! ACK! So inspiring! Gorgeous tags everyone! What great tags from everyone today. Such a fun bunch to look at and then head to my craftroom. :) Thanks Tracey and everyone for your creative works. I haven't heard of Uniko before but all these tags are a great introduction to their stamps! I love the vaired inspiration in today's post. So many fantastic designs to be inspired by! Gorgeous tags! So classic and I love the score lines. Many lovely tags!! Love your CAS designs! Beautiful tags! I was inspired by the multilayer design! Great idea! Oh, the vellum overlay is a great option! Fabulous tags! I especially love your two CAS tags. The little bells are the perfect embellishment. Crushing on Tracey's classy boughs and those luscious scored lines. I am loving the tags! Thanks so much for organizing this. My fav are your two CAS tags - CAS perfection and the colors and layout are amazing....pinning these!!! Beverly had done a beautiful pair of stamps and yours are gorgeous! Everyone did a great job! Jane's tree tag is really stunning! The blue Christmas yree is gorgeous, love the red and white nordic tag! Another day of amazing splendour, the Uniko stamps shown to perfection. very nice - very classy! 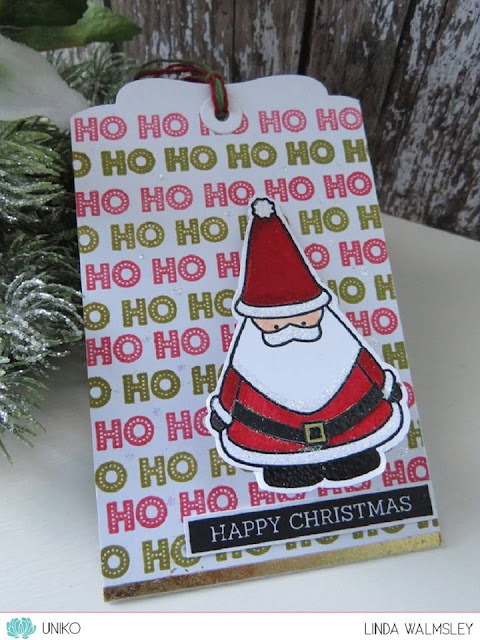 wowo, I love a tag with Christmas tree!